« Do you have a star of intention? Do you have a line of clairvoyance? Most people don’t have this line at all but it can grow into your hand quite rapidly. I attended a talk by Uri a few months ago in Basel, Switzerland, thanks to Basler Psi Verein who invited him. It was good to see that, after all these years, his powers are still intact. But what does a line of clairvoyance actually mean? We discussed this line in a recent Earthuni class with Richard Unger and he said children don’t have this line and they are also virtually never on teenager’s hands. It is a line that can grow into a person’s hands rather rapidly. When it does appear, it usually grows in later in life and relates to intuition and ones whole life being influenced by “the moon”/spirituality and deep meanings. He saw it grow into the hand of one of his students within a year. When it does appear, it is usually a very faint line or it can be made up using other lines to curve around the moon. 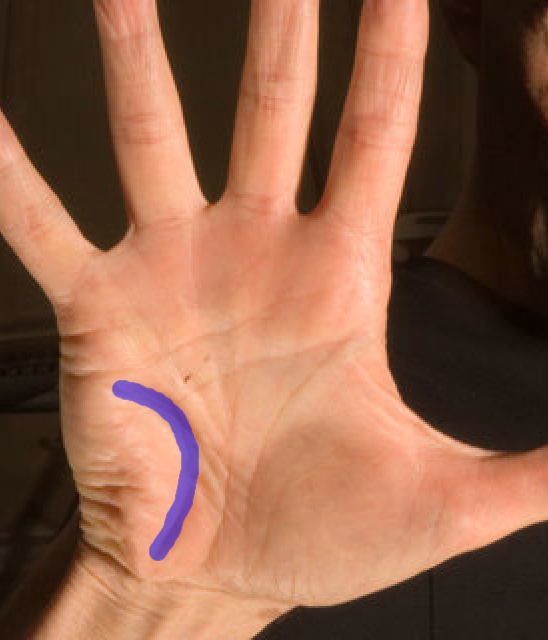 (The “moon zone” is the bottom of the palm furthest from the thumb (which is the active, conscious will). The line of clairvoyance is a gift marker indicating an ability to access extrasensory information. It is a faculty that need s to be used and shared, to help others, otherwise the owner tends to feel stagnant or alienated. So, if you have one of these markers, take note and start using it! And, advice for the rest of us who don’t yet have this marker? If we focus on becoming more grounded and present with whatever is going on in our lives, probably we too will grow this faculty in no time at all. What happens when you have this gift marker ( a line of clairvoyance) and also gifted healer lines? This is the hallmark of the spiritual psychologist. Stay tuned for more on this in my next post. Purchase a 90 minute class on Line of Clairvoyance, here. 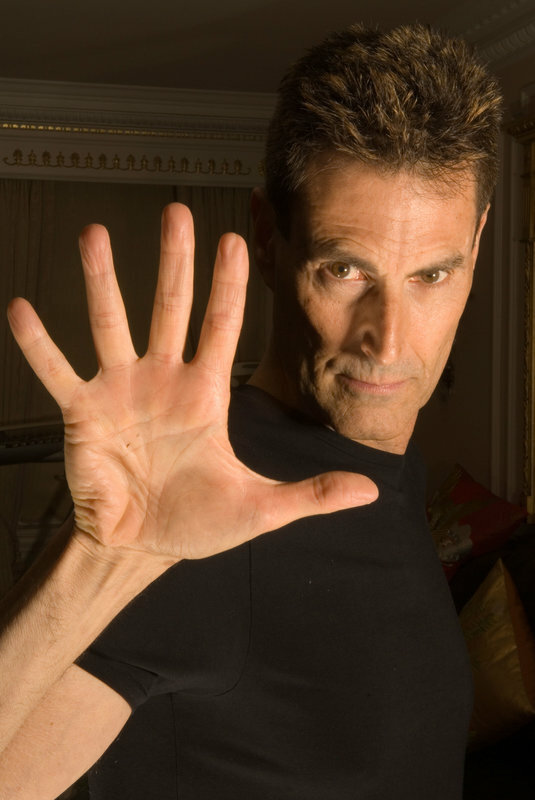 Join us for the current series with Richard Unger Earthuni hand analysis classes here. If you are not sure which line I was referring to, here it is, the line of clairvoyance, marked clearly in Uri’s hand. 6 comments to Do you have a line of clairvoyance? Nice post ! Thank you, Jena ! I have the line of clairvoyance -my most significant gift marking. I don´t know when it showed up, but in my 30´s when I had my first reading, it was there. I have searcher for the deep meaning since “ever” (but I was not aware of it, I thought it was “normal” for everybody). However, around my age of 27, I felt not happy and fulfilled with the job I had to do. I needed to go to study philosophy and get some meaning, and then come back to my life. Also, in philosophy, I was not happy (it must have lied on my bad choice of supervisor who blocked me, I let myself sabotage). Slowly, I stopped understand myself with many people in my life. They left, I left. I am so happy about it today. It creates lots of loneliness. Also, this experience led into my own search, in the “occult sciences” etc. I am not sure how it will develop. What is true that knowing more about me and about the fact that I am a truth seeker + this clairvoyance line and my deep search is ok for me. I am claircognisent. There is no sensory information or any previous contact to have this information, it is true. I would call it more as a “global knowing”, about society, not always individual people. The knowing of some information is still very difficult for me to handle, to be all right with them, because so far, I had been focused on the negative information (that were present in my life, that are present globally in the society). It overwhelms me (even though I watch, read no news etc). I try to focus on nature. I am not sure how to use this gift markings. I have actually found no clear practical way how to use them. So far, I use to trust it more when I feel that in my not-good health situation, the health care providers will be of no help, I know it without meeting them, and I opt for not healing myself better or I start to feel that I must relocat, change the country I live in. I know which one, but all is so difficult and I am also scared that what if I am wrong (as if I have just some crazy ideas and it will cost me a forturne). thanks for the best helpful article for sharing with us. Well, this is great because I don’t have one and it’s confusing me as I am psychic in many ways so this is kind of making me wonder if it’s hoohar. I suppose there was a reason I was brought here, as I noticed this lines forming a few years ago. I never gave it too much thought, until this year when it became much deeper and more prominent. I find it somewhat amusing when you mention being ruled by the moon, as for some reason it has been a constant synchronistic symbol that has practically followed me around everywhere I go over the last five years and I’m awaiting the supermoon on Nov. 14th. However, what’s makes me wonder is why it does not form usually earlier n life, especially for those of us who were intuitive our whole lives, even as children? Why does it seem to suddenly pop up out of no where? Is it possible that it could have something to do with stepping into ones purpose or calling as we grow? Just a thought that popped in. How does one overcome any reservations about how this plays out in one’s life? As in, letting go of any hesitation about actually using this gift in ways to help others? How does one find where one’s line of intuition seems to manifest, ie. mediumship vs. precog vs. forms of PK? re “Why does it seem to suddenly pop up out of no where? Is it possible that it could have something to do with stepping into ones purpose or calling as we grow? Just a thought that popped in.” Trust that thought that just popped in. I agree with it. Re overcoming reservations, these will probably go the more you use and share your gift. But small aamounts of self doubt are always healthy.